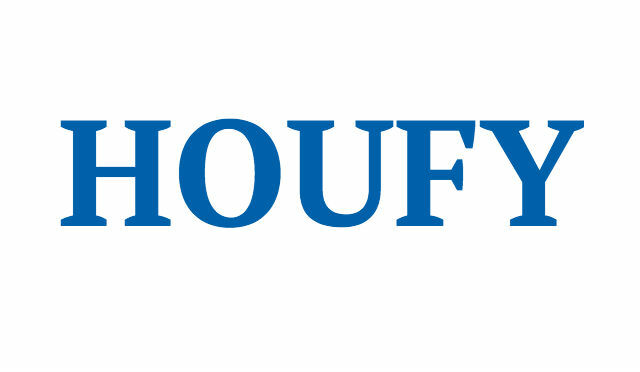 To follow Joni Neiman, please log in to Houfy or create an account. We recently updated all the carpet in The Haven, painted the Mickey Room, replaced the bunkbed, added an air hockey table to the game room and re-felted the pool table.The Haven has all new granite counter tops, kitchen appliances, upgraded linens and living room furniture. We're excited to have you consider this beautiful home for your Florida vacation. Read on for more information. The Haven is an executive home overlooking the woodland conservation area in Windsor Hills resort community located only two miles from the entrance to Walt Disney World. Enjoy five bedrooms, five bathrooms and an excellent games room. Windsor Haven has a great south facing view of the wooded conservation area. With no back yard neighbors, you will enjoy peace and privacy when relaxing in the pool or spa...the perfect place to relax and recharge after spending a great day at the golf course or in the parks. The extended pool area has a 28 by 14 foot pool and adjoining spa. Next to the pool is a large covered lanai area with overhead fan and flat screen TV. There are plenty of reclining sun chairs as well as two tables and chairs for dining outside while enjoying the view. A child safety fence is in place to keep young children away from the pool unless supervised. The large, newly remodeled, family room is where you’ll find a DVR box, an Xbox 360 with games, a small selection of DVD movies, board games and a few paperback books. Your entire family can gather to watch a movie, play games and eat. The kitchen, dining area and breakfast nook complete the family room area. The kitchen is fully equipped with a coffee maker, electric tea kettle, blender and Mickey Mouse waffle iron. The beautiful black stainless steel finish convection stove, dishwasher, microwave and full-size refrigerator with water dispenser and ice maker are all new as of January 2016. A great games room is located in the garage area. Here you’ll find a pool table, foosball, air hockey, dart board and a big screen TV. Laundry facilities are also located in the garage area. You will find The Haven is a true home away from home for an extended stay in the Orlando area. Inside, The Haven has plenty of air-conditioned space for you and your family to spread out. Each bedroom has its own bathroom, two are ensuite. There are two King bedrooms and a kid’s bunk bedroom downstairs. Upstairs are two more bedrooms. One has a Queen-size bed and the other room has twin beds. Each bedroom has a bathroom next to it. The villa can sleep up to 10-12 in comfort. No more than 10 adults but a couple extra people are allowed if they are babies or small children. Each bedroom has a TV and several have built in DVD players. The Haven has high-speed wireless Internet, DVDs and board games and a gas BBQ grill. A baby equipment package includes two pack 'n play cribs, an umbrella stroller, baby gate for the stairs, bed guard for the twin beds and high chair. If you like to golf, you can leave your clubs at home. There is one complete set available for use and several golf courses are close-by. If you would like to know more about the house, feel free to contact me. Windsor Hills is a first class gated resort community with superb facilities for use by all guests including a zero entry, lagoon styled swimming pool with a 2 story waterslide and splash pad. Windsor Hills boasts a games room, 48 seat movie theatre, exercise room, sundry room and shuttle service to the theme parks (fee required). Shops, 24-hour supermarkets and restaurants are only a few minutes away on US-192. Our fully licensed home is managed locally so you always have someone to call on in case of a problem. In order to maintain a high quality of service for all our guests, we do not allow pets or smoking in the villa, however ashtrays are provided for smoking on the pool deck. You will be provided with documentation to allow entrance into Windsor Hill Resort. A personalized door lock code for entering the home will be assigned for your stay. Family allergies do not allow pets to be accepted in this home. No parties allowed. Total occupancy is 12 at any given time. 2 parking spaces available on site. Up to 3 more spaces nearby. My husband is a life-long resident of Minnesota and I've lived here most of my life. While we enjoy the changing seasons, winters can be brutal. We usually try to get away for a week or two in January. Growing up, our three children loved all that the Orlando area had to offer so we traveled here often. When we retire in a few years, we plan on making Orlando our home. This is a family orientated resort and not the best location for parties. If you are a young family and wish to rent the home, please contact me and we can decide if it would be a good fit for you. 25% down payment to reserve your dates. Balance due 45 days before arrival. You may chose a Refundable $300 Damage Deposit or a Non-Refundable $59 Damage Waiver. 100 % refund of any monies paid before final payment. After final payment, if I can rent out the cancelled dates (in full or in part), I will refund whatever I am able to re-rent, less $50 handling fee.